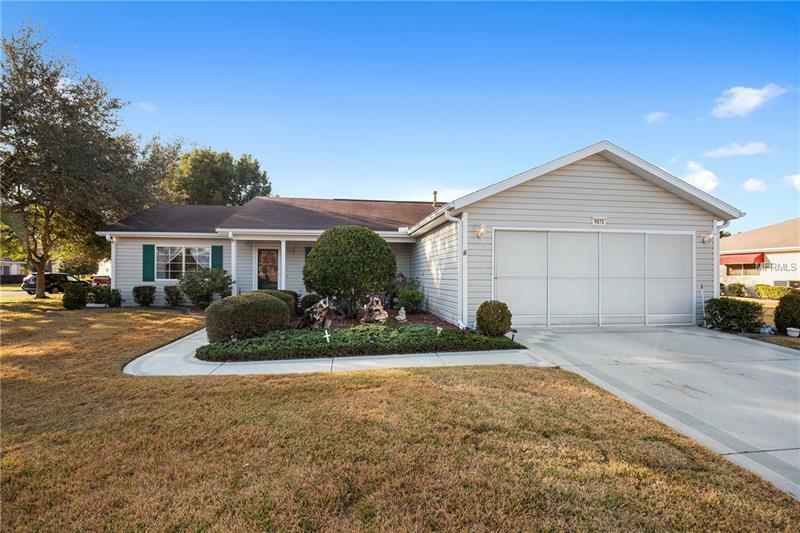 GREAT CORNER LOT HOME IN DEL WEBB SPRUCE CREEK GOLF & COUNTRY CLUB. This easy to maintain home is a 2 bedroom, 2 bathroom split plan plus Florida room and large bird caged lanai. Open floor plan with cathedral ceiling, newer Bosch dishwasher and HVAC replaced in 2015. A must see! Monthly HOA $135.00 includes security, common area maintenance, trash removal and use of the amenities. Copyright © 2019 Mid Florida MLS. All rights reserved. The data relating to real estate for sale on this web site comes in part from the Internet Data Exchange Program of Mid Florida MLS. Information provided is for consumer's personal, non-commercial use and may not be used for any purpose other than to identify prospective properties consumers may be interested in purchasing. Fontana Realty participates in the MFRMLS Internet Data Exchange (IDX) program, allowing display of other MFRMLS broker's listings on this site. However may not include all listings currently available. Information is deemed reliable but not guaranteed. Information last updated at 2019-04-20 13:32:05.